Prime Minister Justin Trudeau said today he's disappointed with the Pope's decision to not apologize for the Catholic Church's role in Canada's residential schools and the trauma experienced by their students. The prime minister said reconciliation is not just a matter between government and Indigenous people, but must also involve non-government actors as well. 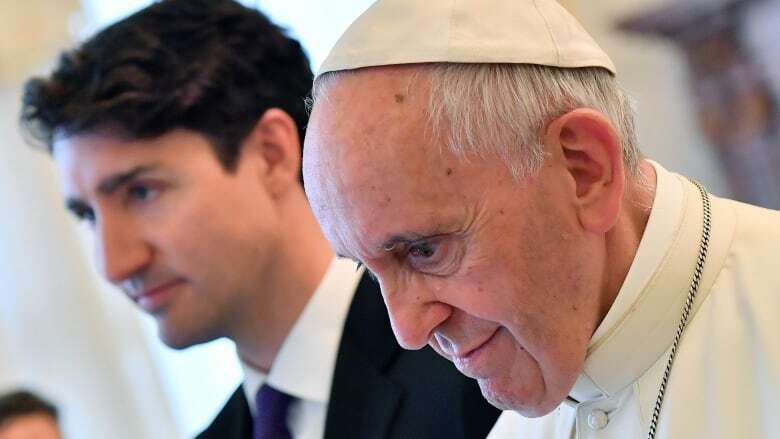 A letter released Tuesday by the president of the Canadian Conference of Catholic Bishops says Pope Francis has not shied away from recognizing injustices faced by Indigenous peoples around the world, but he can't personally apologize for residential schools. "Obviously I'm disappointed with the Catholic Church's decision not to apologize for their role in residential schools," said Trudeau. "Reconciliation is not just between government and Indigenous peoples, it's between non-Indigenous Canadians and Indigenous peoples as well. We will keep working with communities, keep working with individuals on the path to reconciliation because we know taking responsibility for past mistakes and asking forgiveness is something that is core to our values as Canadians." A papal apology was one of the 94 recommendations made by the Truth and Reconciliation Commission. During a visit to the Vatican last year, Trudeau personally asked the Pope to consider such a gesture. The commission recommended an apology similar to that offered by the Pope to Irish victims of sexual abuse in 2010. In 2015, Pope Francis issued an apology in Bolivia to Indigenous peoples in the Americas for the "grave sins" of colonialism. In the letter issued Tuesday, Bishop Lionel Gendron, president of the Canadian Conference of Catholic Bishops, says that while "the Holy Father is aware of the findings of the Truth and Reconciliation Commission" and takes them "seriously," he "felt that he could not personally respond" to the request for an apology. Gendron writes that the Pope has not ruled out a visit to Canada and a meeting with Indigenous Peoples, but in the meantime is encouraging Canadian bishops to continue working with Indigenous Peoples on reconciliation and projects that help with healing. Sen. Murray Sinclair, the former head of the Truth and Reconciliation Commission, said a lack of apology could interfere with the healing process. "I think there's always been a bit of a schism between those Indigenous communities that have members of the Catholic church versus those who are not members of the Catholic church within their communities and I think this is going to add to that tension," he said. Assembly of First Nations National Chief Perry Bellegarde said in a statement he has written to Pope Francis urging him to come to Canada to meet Indigenous peoples. He is also seeking a direct meeting with the Pope to discuss the issue further. Indigenous Relations Minister Carolyn Bennett said the government will keep pushing for a papal apology. Pope Benedict XVI expressed his "sorrow" to a delegation from Canada's Assembly of First Nations back in 2009 over the abuse and "deplorable" treatment that Aboriginal students suffered at residential schools run by the Church. "Sorrow is not enough," said Bennett. "Sorrow is never enough. One has to take responsibility for the harm that was done." Phil Fontaine, AFN chief at the time, called the 2009 statement significant, but said he supports the call for a full apology. "Hindsight is 20/20 as you know, and sure, maybe it should have been something more comprehensive but at that moment, what we received was, in my view, something that was important enough to convince me that the decision to accept the invitation was the right one," he said. "I support the call, obviously. That doesn't diminish what we accomplished in 2009. Not in any way." Conservative Leader Andrew Scheer, a Roman Catholic himself, didn't outright say the Pope should apologize, but did say any group that played a role in the residential school system, including groups with religious affiliations, should own up to their past mistakes. "I think that any group or institution that had a significant role in the residential school system should help move past and help get though this period of reconciliation by apologizing for the role they might have played," he said. 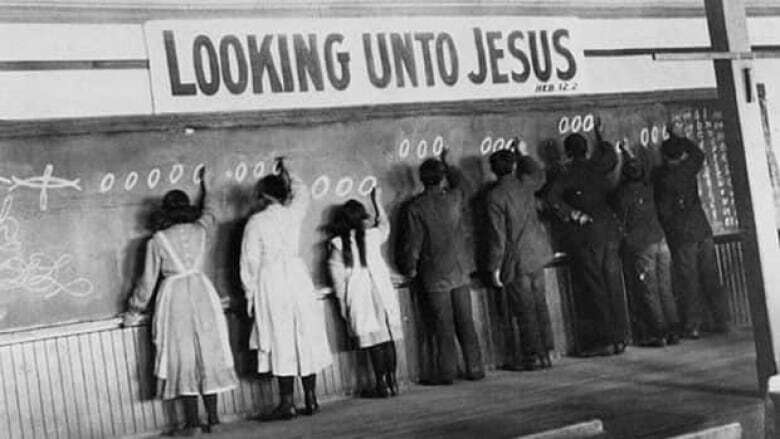 For more than a century, the federal government's church-run residential schools worked to assimilate Indigenous children by forcing them into schools where they were not allowed to speak their languages or engage in Indigenous cultural practices. Almost two-thirds of the 130 schools were run by the Catholic Church. Other Christian denominations implicated in abuse at residential schools have already apologized — the United Church in 1986, the Anglican Church in 1993 and the Presbyterian Church in 1994. The English-language attaché to the Holy See Press Office said the Catholic church is organized differently. "It is not the government who establishes the agenda of what the Pope is going to do," Father Thomas Rosica, CEO of the Salt and Light Catholic Media Foundation in Toronto, told CBC. Rosica said the church is still committed to reconciliation. "We're talking about a long term commitment and not a cheapened apology," he said.